Failed to pick up a league win at Anfield since 1994, Newcastle will be traveling to Liverpool's home on Sunday the 1st, May 2011 to look for a victory and break their poor record against Liverpool at Anfield. Newcastle United midfielder Kevin Nolan believes his team are in a better position after selling striker Andy Carroll to Liverpool for £35 million (€39.5m) in the winter transfer window. This match is much important for Liverpool to win because they can still end this season at top four and qualify for UEFA Champions League as Liverpool are seven points behind Manchester City who are at the 4th place. Liverpool's overall performance have been increased since Suarez and Andy Caroll joined the squad. However, Liverpool still lack some consistency and need to improve a lot. 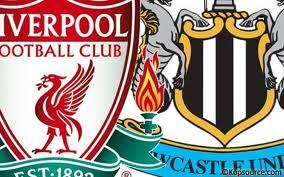 Will Liverpool continue their winning record against Newcastle at Anfield? 0 Respones to "Liverpool vs Newcastle - 1 May 2011"